London has been a major player in the music world for years. As time goes by, the music scene only becomes more dynamic. The city has seen it all, from rock and roll to punk, British pop to pub rock. New artists and established celebrities fill the concert halls and nightclubs, attracting tourists and locals alike. No matter what music genre is your favourite, London is a great place to listen to the vibe. Shacklewell Arms in East London is off the beaten track, which makes it an intimate place to listen to groups. The venue is surprisingly spacious, and it has a cozy pub-like feel. Its style is laid-back, with a pool table up front and a beach theme outside. The venue offers a combination of different musical acts, and depending upon the notoriety of the band, the room can get packed. The diversity of musical acts draws a different crowd every night, from fans of R&B to punk rockers. 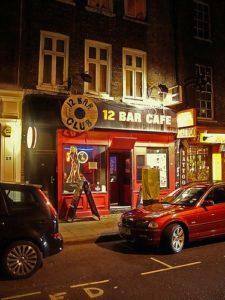 The 12 Bar Club is a small live music venue with big appeal. It showcases approximately four bands a night, every night of the week. It’s a great place to listen to solo acoustic guitar players, folk music, rock country, and pop. 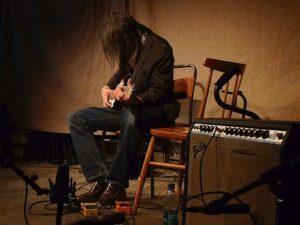 Café Oto (Right) focuses on innovative acts and up-and-coming musicians. The idea is that new musicians need a place to get noticed, and then they can become famous, and Café Oto gives newcomers just the place to get started. The food is as eclectic as the music; the restaurant offers small dishes with a Japanese flair. Festivals draw crowds from London and surrounding cities throughout the year, especially in the summertime. V Festival is put on by the Virgin Group every August, in two parks located in Chelmsford and South Staffordshire. The highlight is rock music, but other genres are brought in every year for variety. The bands play at one of the parks on Saturday, and then they switch venues on Sunday. Bestival (Left) has been held at Robin Hill on the Isle of Wight every September since 2004. The focus of the festival is not only to bring great bands to the masses, it’s to inspire peace, dancing, and love of music that lasts all year. Most of the audience camps out during the three-day festival, kicking back with the tunes, the people, and a sense of community. 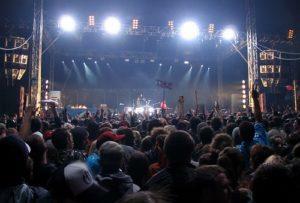 The Reading Festival in Berkshire capitalizes on the sunny days between summer and fall, with a mix of musical genres. Rock and indie music are showcased on six stages during the three days of production. The audience camps out on the lawn and the festivities never seem to stop. 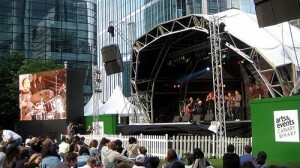 At the Canary Wharf Jazz Festival, three days are dedicated to jazz music. International contemporary jazz musicians bring an unexpected note, while traditional jazz bands appeal to the masses. It’s a place to hear musicians who are longing for fame, as well as those who have been in the music industry for years. If you’re looking for something different and have had your fill of rock, punk, and indie music, check out the Canary Wharf Jazz Festival, which takes place every August. The history of music in London is long and vibrant. The city is home to some of the top record stores in the world. If you want to listen to live music every night, you won’t be disappointed. London’s diverse music scene and healthy entertainment industry ensures your musical cravings will be satisfied. Photos courtesy of Flickr creative commons: 12 Bar Club by RadioSaigon; Loren Connors at Café Oto by Andy Newcombe; Bestival 2008 at Downend, England, GB by iJammin; Jazz Festival at Canary Wharf by Roberto Arias.